Naftzger Park contract: Who is in control? The City of Wichita says it retains final approval on the redesign of Naftzger Park, but a contract says otherwise. 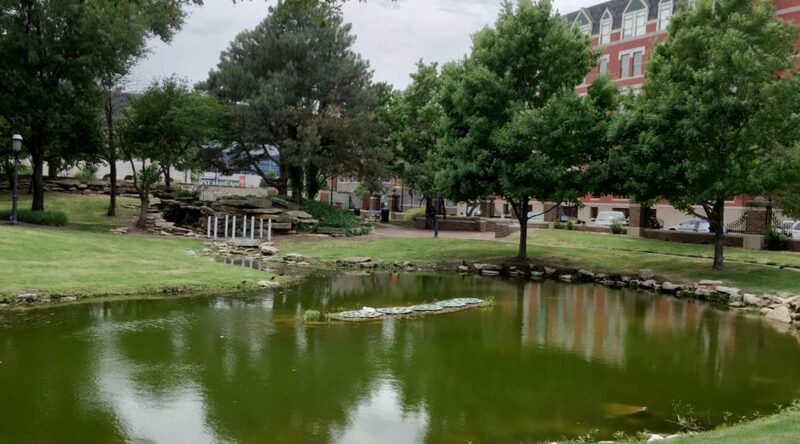 As part of the proposed redesign of Naftzger Park in downtown Wichita, an architectural firm has been engaged, and a contract agreed to. I’ve made the document available through Google Drive here. As stated, and according to the language of the contract, the parties to the contract are SWA/Balsley Landscape Architects, P.C. (“SWA/Balsley”) and TGC Development Group, which is referred to as the “Client.” The City of Wichita is not the Client; that party is a private business firm. And not just any private firm, but one that owns property abutting Naftzger Park and is clearly looking to rebuild the park according to its needs and profitability, not what is good for the city at large. Example from the contract. Click for larger. Remember, the city is not the Client. TGC Development is the Client. There’s a discrepancy here. The city says final approval rests with it alone, but TGC Development has agreed to a contract which states it can bind the city to an agreement.